The bloom of the cherry tree is a symbol of natural beauty. 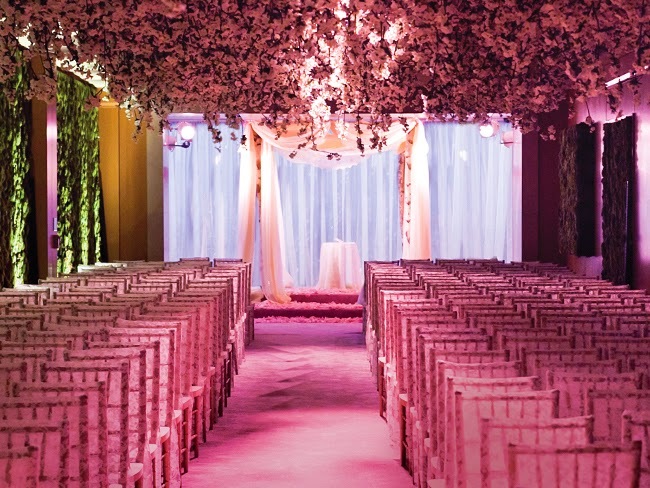 The cherry blossom has become a very popular wedding theme due to the emergence of spring and the colors inspired by the pink and white blossoms. You can find great formal bridal dresses beautifully designed on the market. Elegant and attractive wedding blossom invitations, decorative cherry blossom cakes and blossom wedding favors are great to use for this theme. The accessories are unlimited. 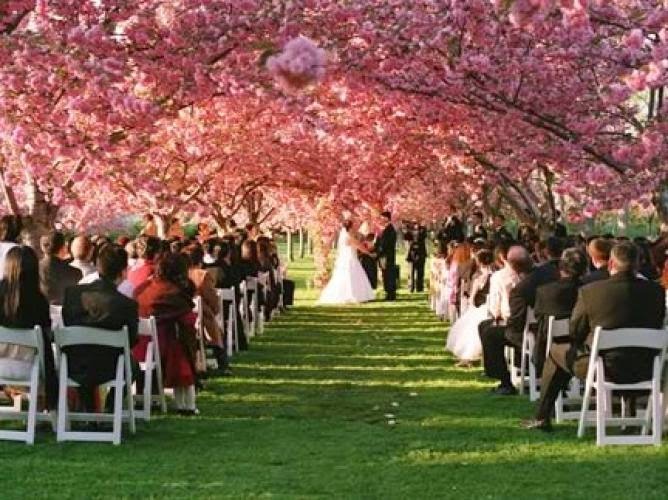 The cherry blossom wedding theme is great for spring season weddings and symbolizes the start of a new relationship. Do you want to "Be Green" and focus on the environment? You can use this as your wedding theme! Many natural and green items can be incorporated in a "green wedding theme" to encourage caring for the environment. Flowers seeds or a nice little organic plant pot used as a favor for your guests can honor and start protecting our world. 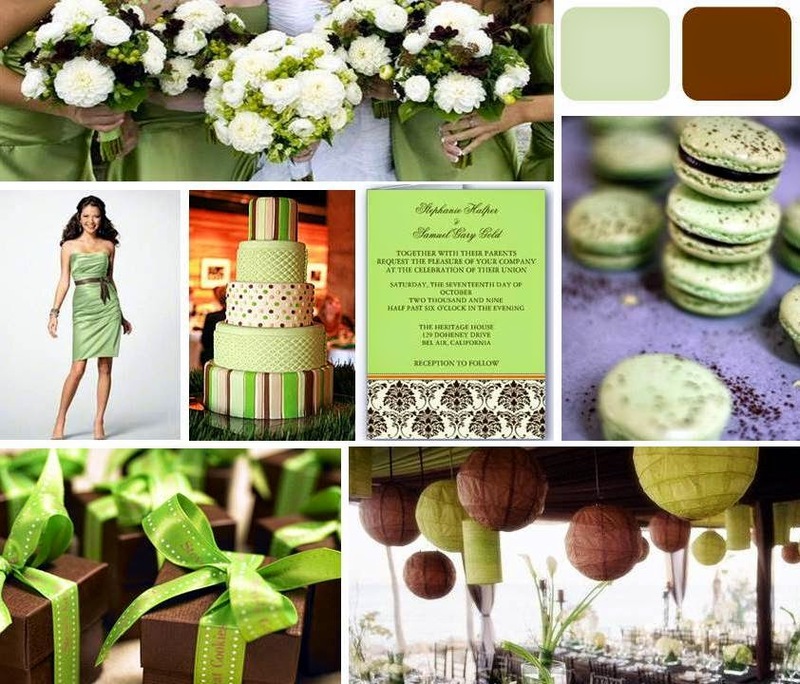 Part of your wedding accessories could be to select a green apple or lime (color) for a cool, fresh and modern look. Select organic materials for tablecloths, napkins and maybe for the bridesmaid dresses. Decorate the reception with plants, greenery and shrubs for a natural feeling on your special day. Remind everyone how important it is to partake in caring for the earth. 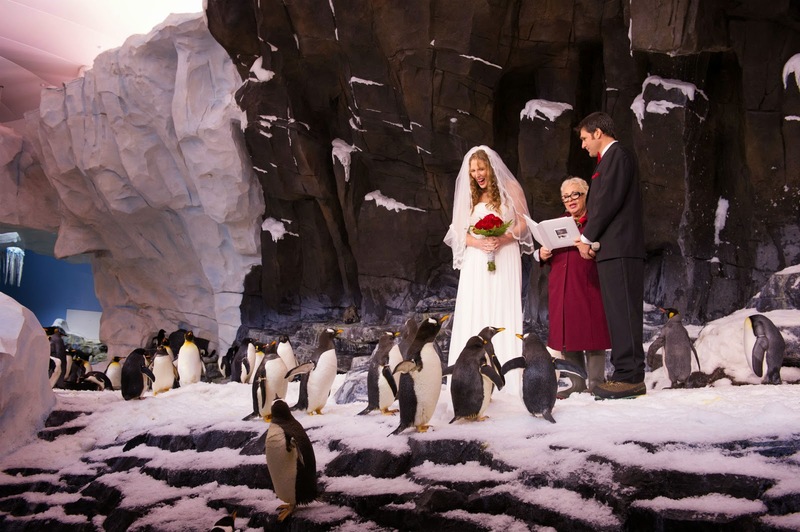 I recommend the "Sea World" wedding for couples who really love the beauty and inspirations of sea life. Maybe you will be inspired by starfish, seashells or the huge variety of ocean fish and corals. You can find great favors like stoppers, candle holders, cake toppers and decorative dishes accented with shells, dolphins and starfish. A message in a bottle with a short poem inside is the perfect invitation to reflect your theme. And don't forget that you can spread sand over the center of the tables to complement a unique centerpiece. Do you love flowers? I think when we see a beautiful garden with wonderful and different colorful flowers, they give inspiration for paintings, photos or even wedding themes. Don't think that by using all these colors your wedding will end up looking like a carnival. It all depends on how you pick the details and items to show off the colors in a sophisticated way. Select two or three colors from beautiful flowers that can be an inspiration for your wedding and mix those flowers into the reception and decorations. Wedding planners and magazines are a great help. 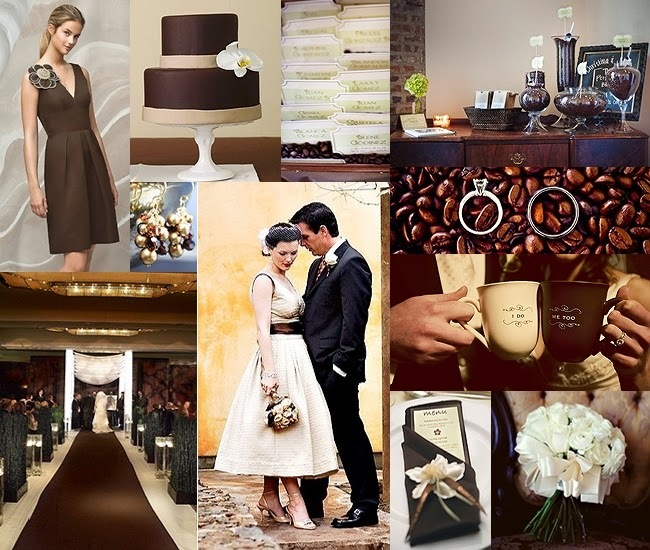 This theme was started because coffee is the number one favorite drink in the world. Very delectable and with an exquisite aroma it will be one of your favorite themes. Create centerpieces filled with the natural coffee beans and candles. For favors buy gourmet coffee beans, coffee candles, or coffee chocolate candies. If your wedding is small you can serve coffee cocktail at your reception. There are so many ideas to help the brides create an inspirational and beautiful wedding day. All these wedding themes and ideas are really wonderful buddy and also want to get married same way. I and my fiancé are looking for a best wedding planner nyc and after we will start our wedding planning.